As consumers, in this age of modern technology, we still use brick and mortar methods to search, assess, recommend, and pay service providers we urgently need. Even if we source someone, we cannot be fully confident in their performance ratings, skills, and pricing model, so we end up paying unnecessarily high prices to an agency or broker instead. Service providers, on the other hand, struggle to find clients and regular job assignments. What started as a dream in the extraordinary mind of Founder & CEO, Misha Malik, turned into a reality when this idea was nurtured and developed by seven of her fellow Oxford Fintech Programme alumni. With a vision extending beyond the basic requirements of any business, GIG9 is one destined to disrupt the global gig economy by helping people gain financial independence, and therefore empowering local communities. To be able to form a team to help find the missing link to our economy and to harness that passion to find a solution is one that I will forever be proud of. We have a strong and committed team geared up for running the same passion – to empower local communities. I am very excited to see how far our journey takes us and I am confident in our ability to do so. Therefore, eight Oxford Online Programme Alumni who met on the renowned Oxford Fintech Programme, developed a revolutionary idea to disrupt the upcoming $2 trillion gig economy which will ultimately change and shape the future of the global service industry. GIG9 found its niche in establishing a direct connection between users and local service providers. Current freelancing platforms focus on professionals connecting remotely; what GIG9 does is provide a personal touch and allows users to get the job done locally. Similar to Uber, GIG9 operates on a Provider Navigation System where users have the ability to actively track the location of their service provider using enhanced GPS-mapping technology. Additionally, users can enjoy the benefits of not having to pay any advertising costs, sign up costs or membership fees, and will also be provided with an escrow service powered by smart contracts to ensure all parties are protected in a transaction. GIG9 has utilised the combined power, efficiency, accuracy, and transparency of the advanced technologies of GPS, blockchain, artificial intelligence (AI), and machine learning, to bring forward location-based tracking and a democratised feedback mechanism. This will also lead to the introduction of a revolutionary utility token, 9Coin – for easy and low cost transactions, as well as the ability to learn through the decentralised network to make users’ experiences better every day. The key to a successful project is the unified mission that brings talented and determined minds together for a common goal. GIG9 was founded by an exceptionally successful group of Oxford Fintech Programme alumni, whose passion to change the face of our global economy came to life through their tireless efforts. After laying down the foundation for the idea which was developed by the skillsets they learnt on the programme, they embraced the task of individually selecting the best minds from around the globe to form a team who would bring this idea to reality through research, financial advisory, technical expertise in blockchain, AI and machine learning, marketing strategies and overall business development. With a combined experience of about 250 years in the service industry, spanning over 14 nationalities and 27 languages, GIG9 discovered the formula to disrupting the global economy, as we know it. One of the reasons GIG9 stands out is the fact that each of the members are stationed in various parts of the globe, allowing for a true global reach for their platform. This allows them to understand the different cultural, social, economic, and even political differences that lie within their places of residence as well as common interests and goals they can take advantage of. The bond that exists within the team is one that proves the global potential reach of GIG9. Selecting the best people for the job is truly an important process and is an ongoing developmental strategy for the GIG9 platform. The firm says that one of the key elements is the talent and passion a person has to understand the mission of GIG9 enough to truly make it their own. The founding team has truly taken the time, effort, and resources to place GIG9 in the spotlight and the same can be said of the rest of the team. While some of them still have their day jobs, they’ve dedicated even more effort to ensure success is being achieved through every step of their journey allowing them to celebrate milestone after milestone. GIG9 is the only platform to have such a presence in the team hailing from one of the most prestigious universities in the world. Due to the backing of eight multinational executives who met through the programme, this has led to an expansion to the Oxford Fintech Programme alumni team. It was quite an interesting experience. I had no inclination that joining the Oxford Fintech Programme lead to a memorable chapter in our lives. Very grateful to have crossed paths with everyone and even more so, to be a part of something that will truly change our economy for the better. Since its inception, GIG9 has been joined by Blockchain Advisor, Sheikh Mohammed Irfan and Fintech Advisor, Lavinia Ponniah, who have added to the foundation of the platform enhancing their mission and vision through their valuable efforts. This, of course, is an ongoing strategic movement as GIG9 is currently in talks with more Oxford Fintech Programme alumni who are sure to join in on GIG9’s revolution to disrupt the global gig economy. The team has learnt practical and strategically groundbreaking marketing approaches to be unveiled in numerous platforms to allow not only their potential investors but also the general public, to understand GIG9 in its entirety. This starts with them internalising the brand as a whole, and their time during the programme has helped them identify the key factors to doing so. It has allowed the team to truly grasp the identity of GIG9 first-hand and work towards developing a campaign that will clearly bring forth the personality and the idea, and what it truly represents. GIG9 will consist of a sophisticated iOS, Android, and web application, which will essentially help those seeking doorstep services (users) by connecting them with those that offer services (providers). With GIG9, you can tap into a world of endless opportunities. Catering to over 150 different jobs and service types, GIG9 provides customers a place where they can find the best person around them to get the job done while empowering them with reviews and easy payments as well as having the ability to watch the provider head to your doorstep on maps. For providers, GIG9 is a personal assistant in your pocket; this entitles them to not waste their resources on advertising, and provide powerful administration tools and on-time payment procedures. This gives providers the opportunity to work whenever and wherever they please. The GIG9 Core Infrastructure leverages a range of solutions from in-house to cloud, and a service provider data centre to closely knit the multiple levels of APIs, mapping services, temporary and permanent data storage needs, and end users of business applications integrations. The analytical, reporting, and monitoring engines provide a range of data streams, which will strengthen the AI component for speedy but transparent and verified provisioning of any service. The GIG9 platform will address current, and future business needs. Facilitating peer-to-peer communication, providing easy and transparent experience of a distributed service model. The GIG9 platform will support multiple blockchains for scalability and performance. Any job processed through the platform can be paid through cryptocurrency or flat currencies. A smart contract will facilitate a transparent exchange of service and currency. The value of service will be determined during the pre-service ordering phase through platform standardisation procedures which the customer and provider will agree to before initiating the service. The internal deep-learning-as-a-service platform and customised AI models are critical in supporting GIG9’s mission of developing reliable service delivery for everyone, everywhere. GIG9 will develop customised AI models to integrate with the platform to predict service outcomes such as value and quality of services. This will enable GIG9’s team to easily build, train, and deploy custom bots for trainings or even to augment business flows and empower suppliers and customers. Machine learning (ML) is an application of AI that provides systems the ability to automatically learn and improve from experience without being explicitly programmed. Machine learning focuses on the development of computer programmes that can access data and use it to learn for themselves. GIG9 increasingly invests in AI and machine learning (ML) to fulfill this vision. GIG9’s ML Platform consists of a mix of open source systems and components built in-house. The primary aim of machine learning is to allow computers to learn automatically without assistance or human intervention and adjust accordingly. This benefits GIG9 in providing reliability in future predictions. A smart contract is a fully computerised protocol that exists on the blockchain to order, facilitate, verify and then execute the performance of an agreement. Smart contracts allow users of blockchain technology to make good on promises that have been specified in digital form without the need for third parties or written documentation. GIG9 will provide an escrow service powered by smart contracts to ensure that all parties are protected in a transaction. Consumers and providers are traditionally not protected against the other party failing to fulfil the requirements of their agreement, intentionally or unintentionally. A contractor may mismanage the funds received by the client, and later find himself unable to finish a job for this reason; the client or provider may forget what the original terms of the agreement were; or one of the parties may fail to deliver the funding or services they had previously agreed upon. Smart contracts allow for the money to be allocated to the job and milestones to be laid out by both parties before any work is initiated, protecting both the skilled trade worker and the client. The escrow service is composed of two main parts: API and the smart contract for escrow. The API works as the front end for customers and workers and as a storage medium for documents (such as job agreements and reviews) to be referenced from the blockchain. The escrow smart contract is used to manage the flow of money between customers and workers and also to store links and hashes of job agreements and reviews so they cannot be changed later. When you request for a service, GIG9 takes your GPS coordinates, places them on a map and metaphorically creates a pre-defined radius of all the service providers available around you. At the same time, service providers are constantly transmitting their location to avail to your requests. GIG9 calculates for an overlap between the customers’ area for requested service and the available service provider’s area. The radius shifts until an overlap is created. If there happens to be just one service provider available, the details are sent to the customer who has the power to immediately accept or decline. If the customer declines, then the search starts over again with a larger radius in search of more service providers. However, on the flipside if there is more than one service provider available, other factors like cost, satisfaction level, and reviews are taken into account, based on the customers predetermined needs. The algorithm of the app will then send the details of the service provider that’s better suited to the customer’s request. 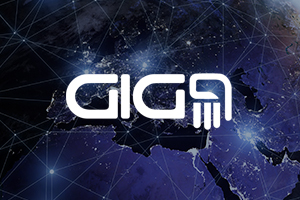 GIG9 believes their service is the solution to the current needs of the community, to help them move towards a flexible sharing economy, a gig economy, where everyone and anyone can create and avail opportunities. They’re well-along in their initial road map schedule and are working towards building strong partnerships with local freelance and autonomous workers organisations, professional schools, regional banks, and even governments to have their backing to help the firm empower local communities to truly disrupt the economy. GIG9 also signed a very exciting branding partnership with the renowned European Sports Media to have a marketing presence in cricket and rugby matches happening all over the United Kingdom in 2018. GIG9 are dedicated to empowering local communities, and want to be involved in every aspect of this empowerment, including the world of sports. GIG9 builds bridges. Communities can strengthen each other when opportunities are created. GIG9 is confident they’re not just another profit-driven company; they aim to empower local societies by providing equal opportunities for everyone irrespective of age and gender or background. This has led to their passion to actively campaign for women entrepreneurship, for older workers, for young business minds, and for those with disabilities. Ultimately, GIG9 hopes to disrupt the global gig economy for the better, and they’re dedicated to seeing this vision become a reality. The Oxford Fintech Programme has allowed the GIG9 Oxford Fintech Programme alumni and the broader team to identify the benefit of this service to the economy and society, as well as the formula to put it into action. Interested in learning with a cohort of like-minded, global professionals? Register now for the Oxford Fintech Programme and take your future into your own hands.